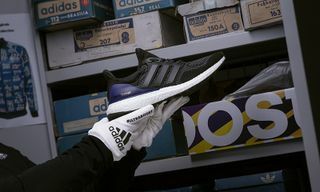 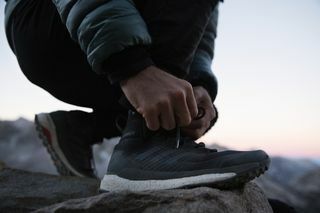 Key Features: Water repellent and stretchable Primeknit construction with an extended sock-like bootie, reinforcing TPU play on the heel, Boost cushioning and Continental rubber outsole for superb grip on any terrain. 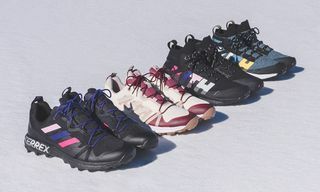 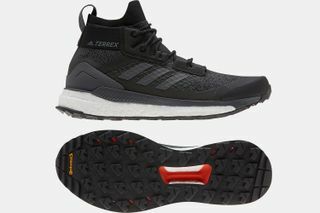 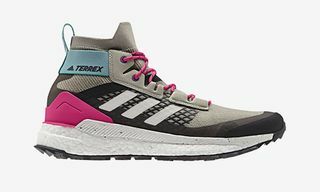 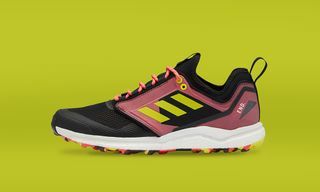 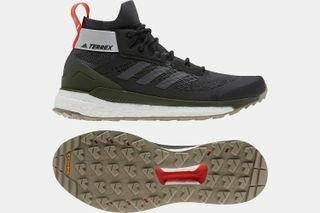 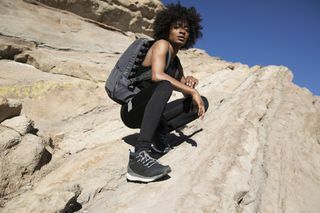 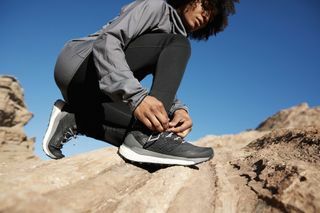 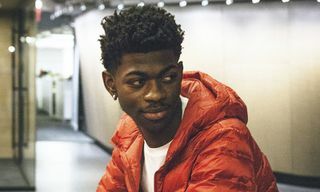 Editor’s Notes: adidas recently launched its weatherproof outdoor spring collection with a spotlight on the brand’s Terrex Free Hiker, and now the Three Stripes has introduced the performance silhouette in three new colorways. 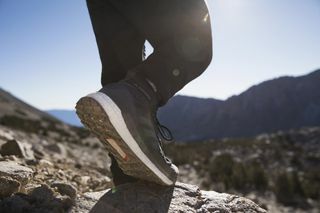 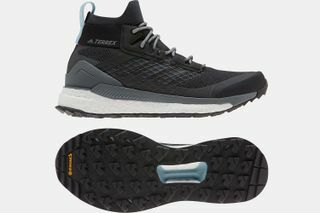 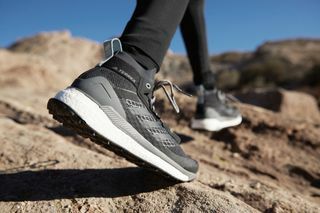 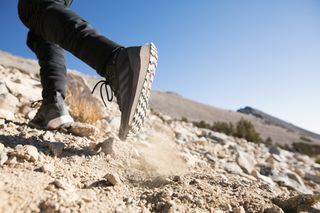 Described as the “first hiking boot with BOOST tech,” the model is defined by the aforementioned features noted above. 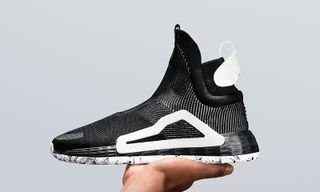 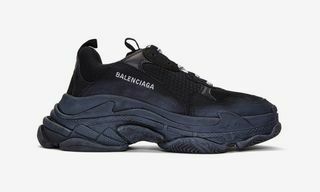 The silhouette is primarily draped in an anthracite/black theme but each pair is detailed with a contrasting midsole overlay, heel plate and pull tabs to differentiate its distinct makeup. 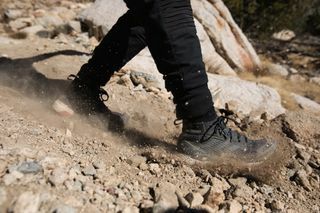 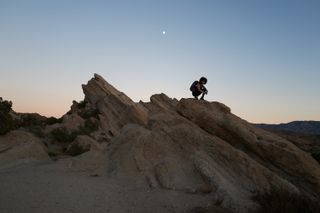 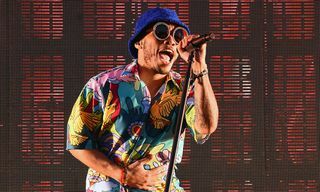 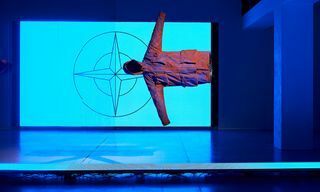 Also, peep world renowned DJ/producer Diplo flaunting the new kicks in the outdoors via an accompanying editorial below.